Benefits of SAP SuccessFactor Certification for an SAP Professional? Zenfotec > Blog > ERP > How SAP SuccessFactor Certification can help you as an SAP Professional? SAP has a very deep penetration in the real-time industry. Regardless of the size, nature, and mode of operation of your organization, SAP is what you require to have seamless operations. As far as SAP as a career is concerned then you must know that SAP is one of the most demanded skills in the industry as of date. The world is in deep need of SAP professionals. SAP is one such suite that keeps on updating itself to meet the current and on-going demand of the industry. Comprehending with the same factor, SAP acquires SuccessFactors in Dec 2011. Within two years of the merge i.e. 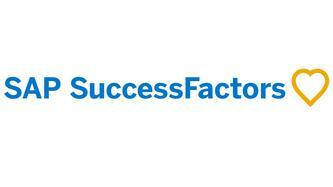 in the December 2013, SuccessFactors got a whopping number of 600 customers and 11.5 million users worldwide. The figures are highly impressive and show the industry’s affinity towards it. If you are an SAP professional and looking for ways to boost up your career then here is why and how SAP SuccessFactor can help you to achieve it. SuccessFactors Human Capital Management is a solution that assimilates various solutions for an organization. The solutions varies from onboarding, creating learning management system, generate social business and collaboration tools, applicant tracking software, recruiting software application, performance management, HR analytics, talent management and business strategy. All these solutions work on cloud-based integration and that makes them more advanced and easy-to-use. These solutions basically help an organization to expand without any time, space and cost constraint. One of the most sought out HR tools in the market; SuccessFactors Employee Central Salaries helps an organization to streamline the onboarding and payroll process. There is a deep dearth of Employee Central professionals in the market. The current pay package of such professional is highest amongst all SAP SuccessFactor professionals. If you are a global organization that is looking out ways to manage the people locally while meeting the global and local compliance then SuccessFactors- Employee Central is for you. In addition to this, it also allows a business to amalgamate the main database with the available talent and business procedure for better and advanced operations. Industries these days are looking out for professionals that are well-versed to handle various operations in one go. Acquiring an SAP SuccessFactor Certification helps you to expand your reach in the industry and grow in your career span. Seeing the current demand and lack of SAP SuccessFactor professionals, many SAP course providers has launched its SAP SuccessFactor training program along with SAP HCM Certification. Designed with precision and lead by industry’s best minds, the training program is a great way to climb up in your career ladder. The live classroom teaching, instructor lead learning, and adequate technical support help a professional to acquire all the astuteness of SAP SuccessFactors certification. • Regress practices and continuous assessment. To earn an SAP SuccessFactors Certification and Training, you should be an SAP-certified professional, should have knowledge of HR functions and some work experience in the same field. Are you an SAP-certified professional? If not then go and get an SAP certification based training from Zenfotec and then step forward with SAP SuccessFactors certification.